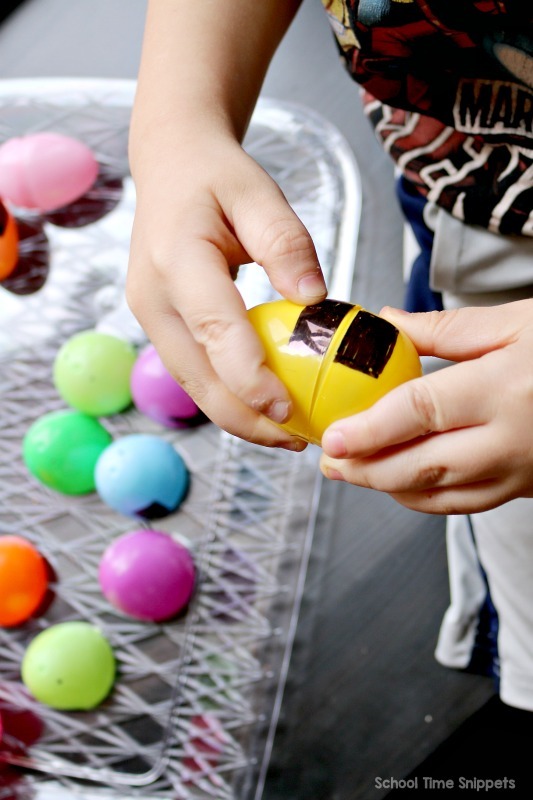 Save those plastic Easter eggs for this fun, hands-on shape and color matching activity for your preschooler. Don't put those plastic Easter eggs away yet, give them new life by putting together these simple shape and color puzzles. If you are a procrastinator like me, though Easter has come and gone, Easter stuff has made its way to the basement stairs to be taken down... some other time. 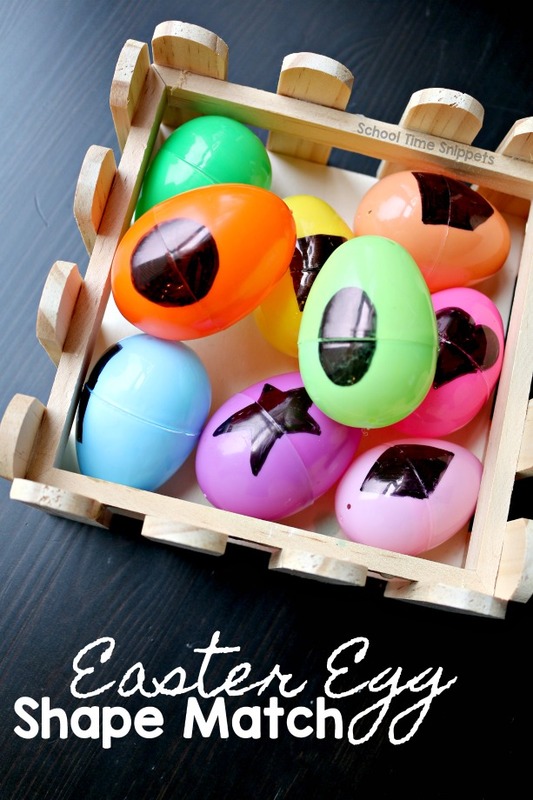 While the pile grows, upcycle the Easter eggs and make this fun shapes game. If you happen on this activity before Easter, set a few aside for this matching activity! Grab several plastic Easter eggs; I used 9. To create an element of self correction, keep the Easter egg puzzles the same color for the matching activity-- this also reinforces color matching!! If your child is up for the challenge, mix and match the colors. 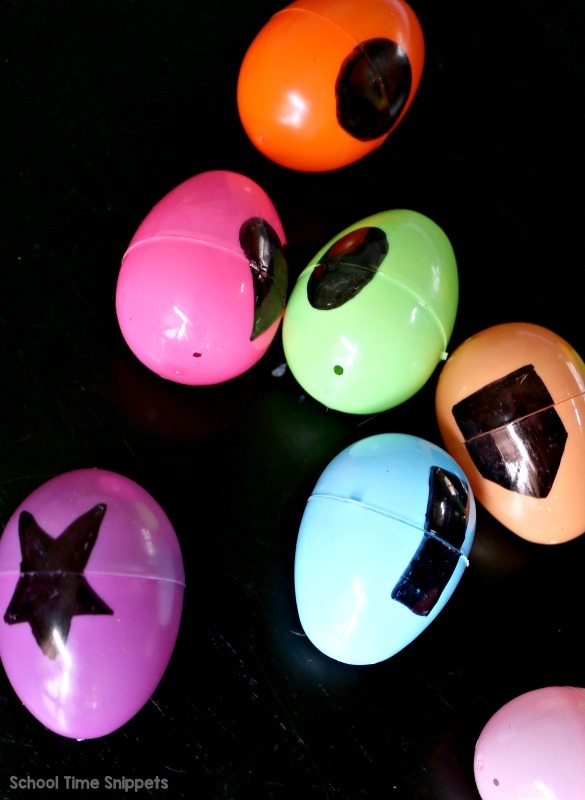 On each plastic Easter egg draw a shape using a black sharpie marker. Put the top and bottom of the Easter egg together and draw a shape. I drew a circle, heart, square, oval, rectangle, triangle, diamond, pentagon, and a star. Feel free to add more shapes such as an hexagon and octagon, too! Once the shapes were drawn on each Easter egg, I took the egg apart and set them on a tray for my preschooler. Now it was my preschoolers turn to match the shapes! This hands-on puzzle proved to be a challenge at first until he realized he could match the colors of the Easter egg. Once he put the egg together, he was able to recognize the shape. Try this activity with your little one! 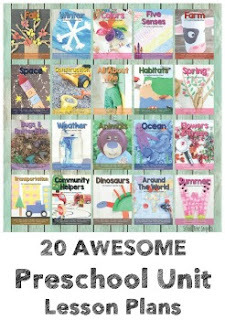 Another fun way to use this idea is to turn it into a scavenger hunt. 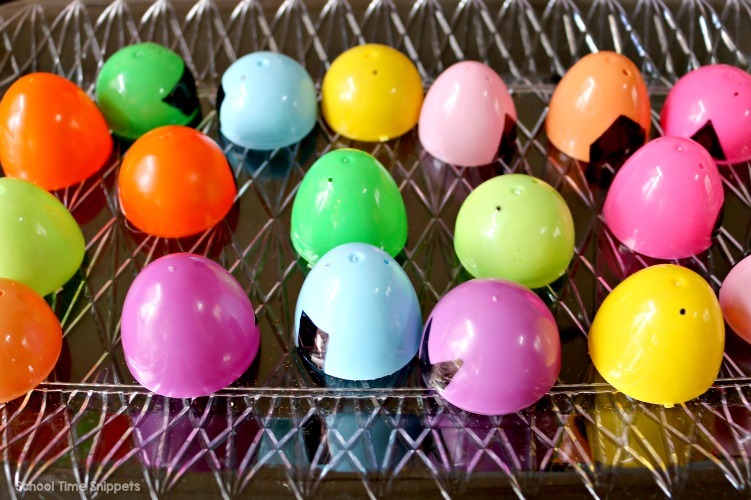 Hide the individual pieces of each Easter egg around the room and have your preschooler find and match the eggs by color revealing the shape. 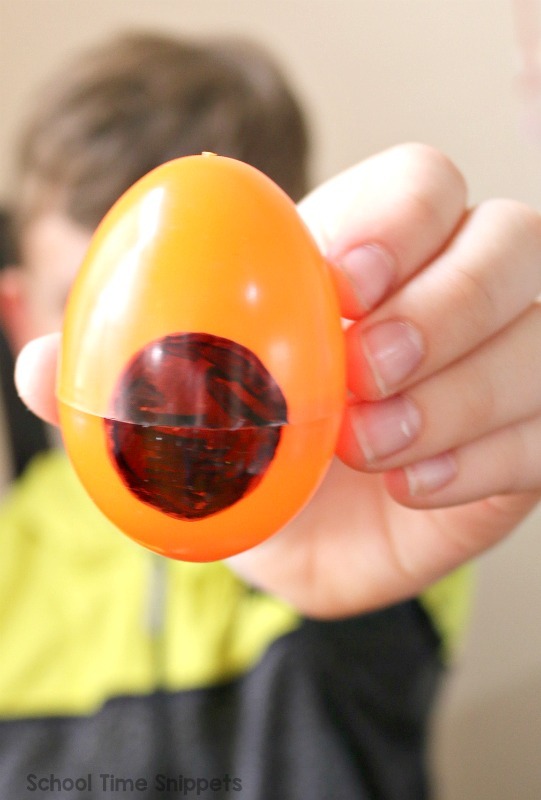 Such a simple way to LEARN with plastic Easter eggs! !